Did you know what was Napoleon’s most humiliating defeat? While Napoleon’s most famous defeat was undoubtedly the one at Waterloo, his most humiliating one happened sometime sooner. Namely, in July 1807, while in high spirits after signing the Treaties of Tilsit between France, Russia, and Prussia, the French emperor suggested that he and his court should spend the afternoon in a rabbit hunt near Baron Paul Thiebault’s mansion. The hunt was organized by Marshal Alexandre Berthier, his chief-of-staff. Berthier was so keen to impress his emperor that he had hundreds (according to some sources as many as 3,000) rabbits collected for the court to hunt, so that they could spend the entire day hunting. However, Berthier made a critical mistake: the rabbits his men had acquired were tamed rather than wild. 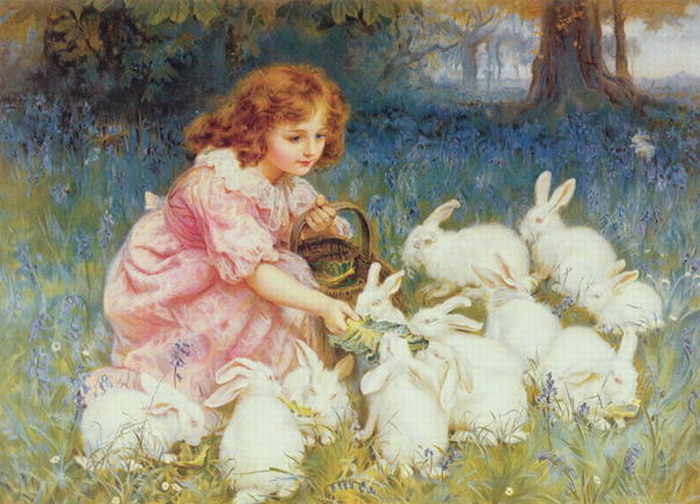 When the rabbits were released, they thought they were about to be fed rather than hunted. Seeing Napoleon, they probably mistook him for the keeper who brought them food and rushed at him at full speed! The hunting party at first found the event amusing, but was soon overwhelmed by the sheer mass of rabbits. They could do nothing to stop the swarm of rabbits and Napoleon was forced to flee, desperately beating off the animals with his bare hands. The rabbits did not relent until Napoleon had been driven back to his carriage. His underlings tried to use their whips to beat back the horde, but it was all in vain – some reportedly even leaped into the carriage and had to be thrown out by hand. The French emperor was forced to retreat in shame.